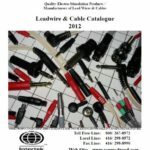 Our Leadwire and Adaptor Catalog describes our complete line of leadwires for both clinical and portable electrotherapy units. A reference chart is included in the beginning to help match the appropriate leadwire to your unit. If you know of any wires or units we have missed, please let us know and we will add them to your list! You can also email us which part you’re looking for and we’ll help you find the perfect part.